All Intrepid Southeast Asia Trips tours, river cruises, expedition cruises, and adventure trips. Find the best guided trips and expert planned vacation and holiday packages. 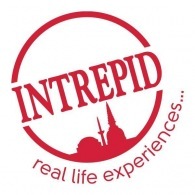 Average rating of 4.8 for all Intrepid Southeast Asia Trips trips. Start and finish your explorations of Myanmar in incredible Yangon, rapidly developing but still packed with beautiful pagodas, astounding giant Buddhas and countless historical sites. Tour the ancient city of Bagan by bicycle or float high above the spectacle of stupas in a hot air balloon. There are multiple magical ways to see this astonishing site and it's thousands of temples and pagodas. Spend a full day waking through the hills and villages of Kalaw, getting up-close and personal with the culture of rural Myanmar. Get lost in the floating markets of Inle Lake and encounter the many varied ethnic groups who call this place home - a quintessential Myanmar experience.